Wool and Wheel: In 2012. -I finally finished my very first quilt! It took me about five months and quite a bit of frustration, but I love it. It's been on my bed since the day I finished it. -I participated in an embroidery swap for the first time. It was so much fun. -My little brother got married. How did that happen?? I feel old. -I started sponsoring a child through Compassion. I know I haven't written about this here, but it's been a really amazing experience for me. Getting a letter from Aida, a beautiful little girl in Bolivia, completely makes my day (it just doesn't happen enough! It takes at least two months for letters to get back and forth). -My aunt Betty passed away after a seven month fight with a brain tumor. -I faced my fears and knit a pair of socks for the first time (more on that in a later post!). -I started learning how to spin yarn. I was actually doing really well until about June or July. I was only buying two books a month, walking religiously five days a week, not buying many DVDs at all, finishing my quilt, and getting Mom to give me cooking lessons. Everything was going beautifully. But there were quite a few things that I did accomplish! I finished my quilt. I didn't knit a sweater or learn how to crochet, but I spend most of the year obsessed with improving my knitting (besides other things, I made my Penelope scarf and learned how to knit socks). I tried to declutter and get rid of some things. I weeded out my bookshelves, records, and DVDs. 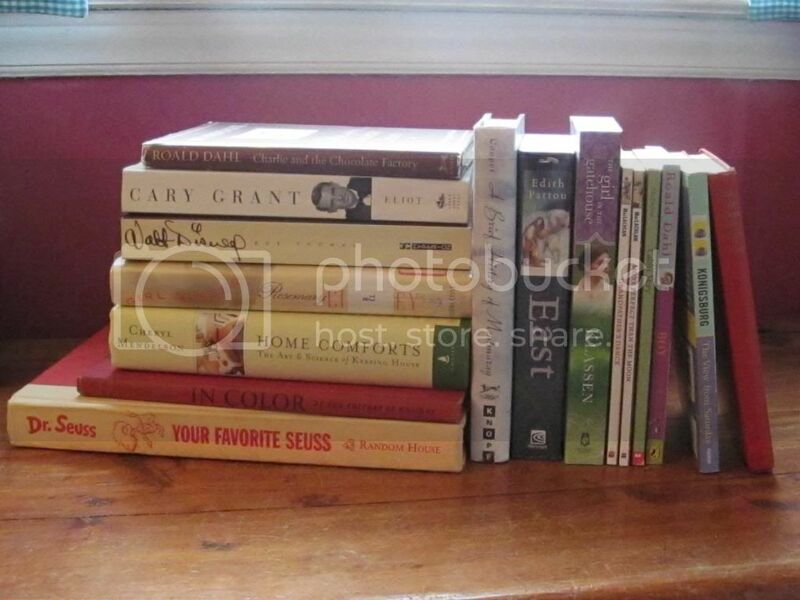 I sold some of them on eBay, traded in others for an Amazon gift card (which I used to buy another book *ahem*), gave some to Goodwill, and donated several of the books to our town's new Little Free Library. So overall, it might sound like I failed miserably with my 2012 resolutions, but I'm pretty happy with how I did. I learned that writing out very specific rules is helpful to me, as it tacking them on the wall right above my desk where I see them every single day. :) I also realized that if, on Sunday nights, I write a list of things I want to accomplish over the next week, it helps me a lot. How was 2012 for you? Did you follow through with some of your resolutions? Also, I don't think I've mentioned this before, but all year I've been collecting little bits and pieces of the Corelle Crazy Daisy (also called Spring Blossom Green) dishes while thrifting. For Christmas, my mom and grandma gave me so many pieces that I very nearly have a whole set (except for bowls. I can never figure out why bowls always seem more likely to be missing from dish sets). I think they're so cute. 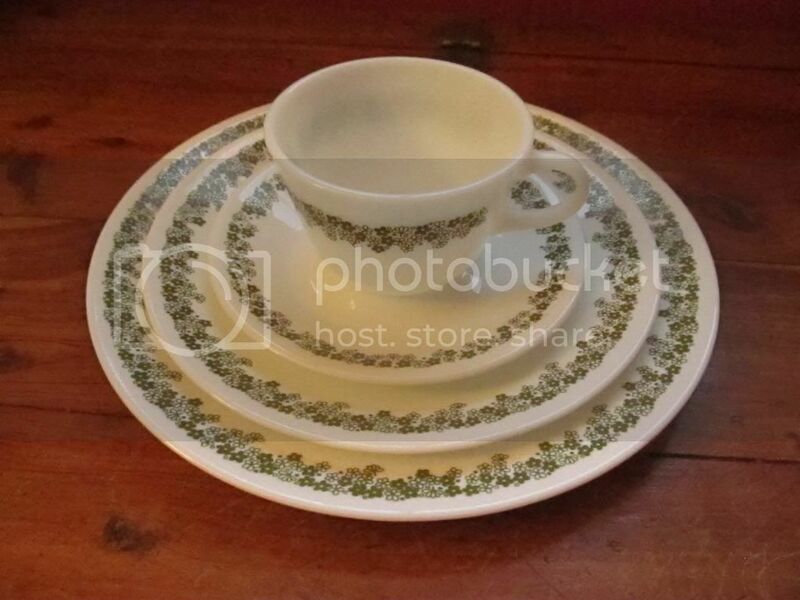 If they look familiar, it's because your grandma probably had these dishes at one point or another. :) Both of mine did, apparently. 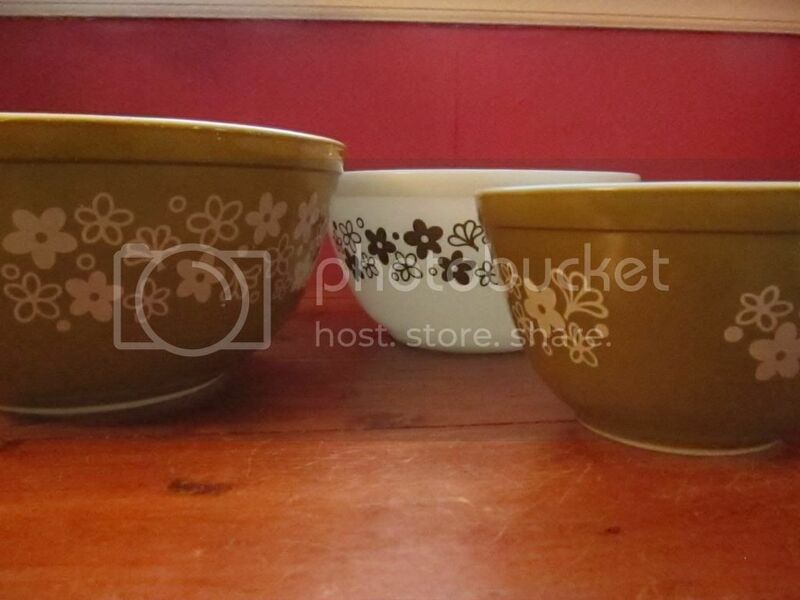 And three of the Pyrex nesting bowls to match! You did accomplish so many wonderful projects this year. Full of inspiration for my little ones.